Vintage Brass for Rich, Warm, Mellow Tone. Gold valve caps. 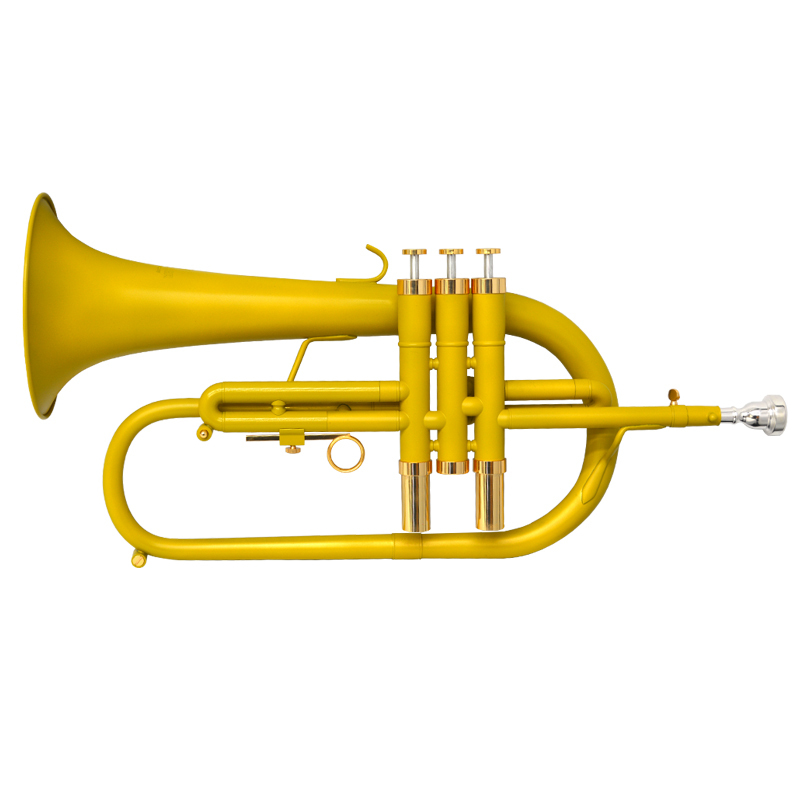 Multi-tapered leadpipe with symmetrically weighed top and bottom valve caps, center the mellow voice of this flugelhorn with completely level intonation. 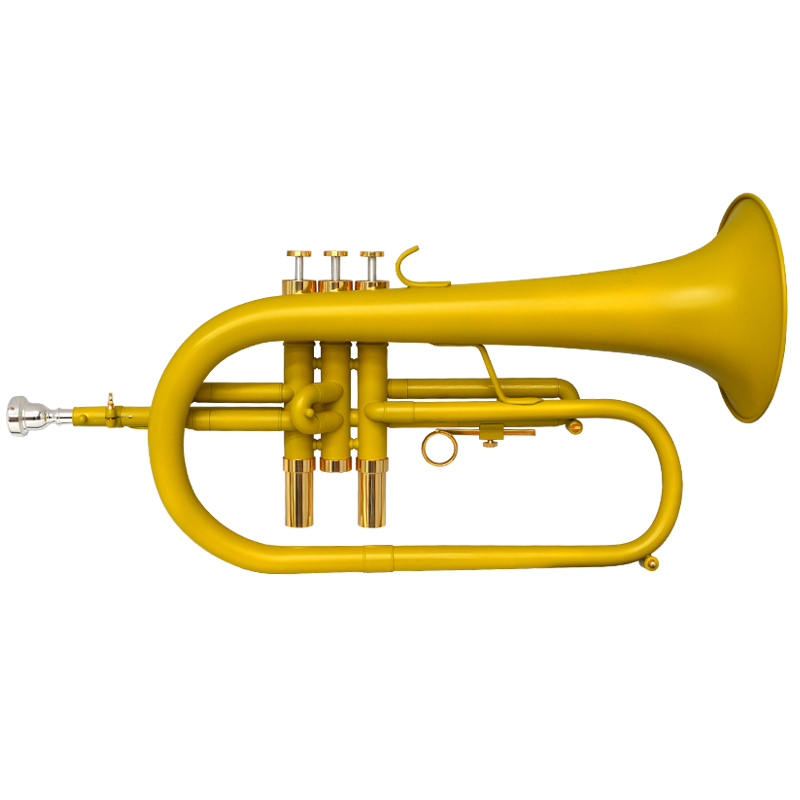 Modern French-style valve block quickly throws the valves back so you don’t miss a note. 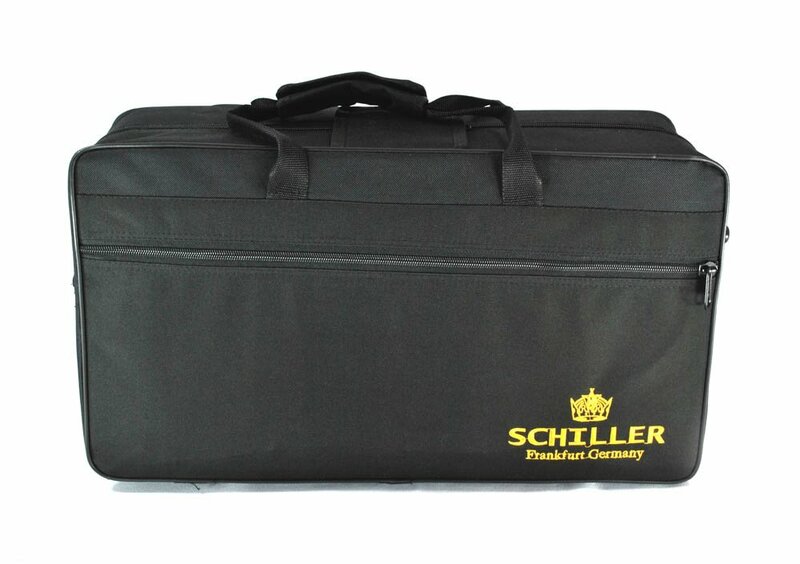 The Schiller mouthpiece fattens your playing tone and makes upper register playing more agreeable. First valve finger tuning trigger comes standard. With their hands on approach, Schiller Instruments achieve Their goal of producing quality instruments that are affordable to all musicians.